Attorney Michael E. Eisenberg has been serving the Philadelphia Metropolitan area since 1987. He has practiced in Federal Court, the county trial courts, commonly known as the Courts of Common Pleas, and Bankruptcy Court. He has practiced in the local magisterial District courts and he is therefore familiar with the practices and rules of the trial courts and local magistrates. 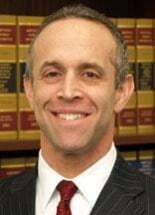 Attorney Eisenberg has practiced before the Superior Court of Pennsylvania and is familiar with the need to appeal a final order to a higher court for review of the trial court's decision, should that decision not be based upon law or fact. Attorney Michael E. Eisenberg's practice philosophy is based upon responsiveness to client needs, client goals and navigating the often complex legal system. In order to offer full service, Attorney Eisenberg will obtain the important facts from the initial interview and explore the facts and circumstances during the representation. Attorney Eisenberg believes that there is a balance to be struck between an aggressive approach to representation as well as the need to balance that with reasonable use of billed time and expenses. Attorney Michael Eisenberg's staffs are experienced professionals who are devoted to the same practice philosophy as Attorney Eisenberg. They are knowledgeable, responsive and accessible. Dianne Sebald has over 30 years of experience in the areas of personal injury, family law, estate administration and general legal practice. Lynn Killen, who is a degreed paralegal with over 20 years of experience.